Connected car startup Vinli has accumulated a lot of traction since it started shipping 10 months ago, following a launch at TechCrunch Disrupt in 2014. The company began by offering a hardware dongle for vehicle diagnostic OBD-II ports, but has since expanded to focus on its software platform, which makes it possible or app makers to target their products to connected vehicles. Now, it’s making access even easier through new distribution arrangements. 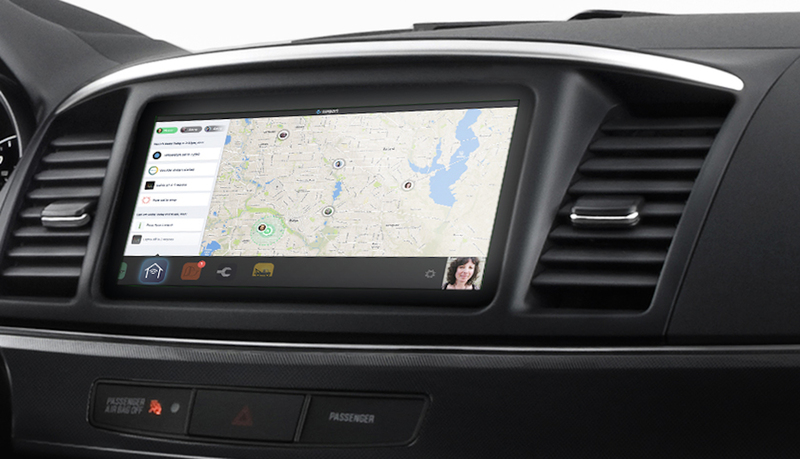 Vinli definitely isn’t the only company that offers a connected car platform using hardware that connects to a vehicle’s diagnostic port, but it can now claim to offer the largest selection of apps tailored for any connected car product, the company says. There are 47 apps in total available for Vinli, with “hundreds” in various stages of development ahead of release, according to Vinli founder and CEO Mark Haidar. To get around the fact that nearly 99 percent of cars were not able to connect into the kinds of cloud services that Vinli wanted to provide, it created its own hardware, but ultimately that was just a vector: Haidar says they’re eager to offer their platform however they can, including with its Carport product created in partnership with automaker supplier Continental to have its services built directly into vehicles by OEMs. Haidar says talks continue with other direct-to-OEM solutions to put Vinli in vehicles before they ever even get to consumers. Now, Vinli is also stepping up its distribution efforts in the second-hand vehicle market, with new partnerships announced today between the startup and Meineke, and with Cox Automotive. The Meineke arrangement will see Vinli become an part of the service package provided to Meineke reward members in service locations beginning in October. Haidar explains that this will also bring Meineke services to customers via Vinli, including push notifications alerting users when their car is due for service. With the Cox Automotive tie-up, Vinli will actually ship with vehicles sold via dealerships belonging to the car industry giant, as an option package that includes cellular connectivity via T-Mobile, which Haidar says should help their platform get into a lot more cars in the near future. Cox is actually involved in some way or another in “three out of four vehicle transactions in some way,” according to a recent interview from Automotive News, with 40,000 dealerships through its network across the U.S.
“Imagine with just these two channels, this could get Vinli into millions of cars, because you can scale much faster,” Haidar told me about the potential impact to Vinli’s business stemming from the new partnerships. Expanding distribution channels is huge for a service like Vinli’s because the vast majority of customers just aren’t likely to head out and purchase aftermarket add-ons for their vehicles like and OBD-II dongle that would generally be necessary to make access to apps possible.